As one of the world’s most highly rated financial institutions, we are committed to delivering excellent long-term returns to our shareholders. Get access to our vision, values, segment strategies and past acquisitions. 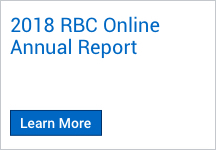 View latest quarterly and annual reports, AGM information and regulatory filings. Participate in our events, view live presentations and archived materials. View common and preferred shares, dividends, stock splits and fixed income information.